Football has changed inexorably in the last decade. It has made the sport far more popular as access to every singular movement of a player is now accessible with a solitary click. Social networks provide ample platform for opinions, ideas and highlights to get an airing – rightly or wrongly. Along with the opportunity for every fan to have their say and for everything that occurs on the pitch to be viewed from a plethora of angles, the money involved in the sport has also transformed football as we knew it. 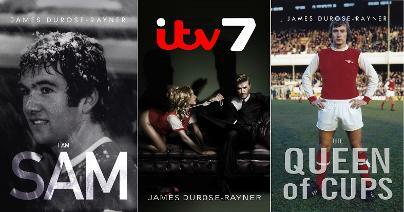 The Premier League now attracts the finest exponents of football, be that players or managers. They come to these shores lured by the lucre and as a result, the heat of competition rises notch by notch. Every single game now carries more significance than before, as final standings mean more money, and better performances by the players also means more moolah. It’s a cash-fest. Money unfortunately makes the world go round, and football is no different. Just look at the Chinese Super League in the last year for the purest of proof.Arsenal have not escaped this all-enncompassing money-malaise, and the club is a tightly run business with revenue streams rising to prominence alongside results on the pitch. With the rude health Arsenal are in, it has allowed the Gunners to flash the cash a little. Granit Xhaka, Alexis Sanchez and Mesut Ozil have all arrived at the club in recent years, and their transfer fees – whilst not record-breaking in the face of flagrant spending by others – still means that these flagship signings are expected to illuminate the stadium with their excellence. A judge of their worth is often made within a few games, such is the fickle nature of some. Pundits often court controversy which only serves to exacerbate readers and listeners and also greases the wheels of their own brand. It is self-serving, but it is where football is right now. Mesut Ozil is one who has seen his every languid move scrutinised by all and sundry. 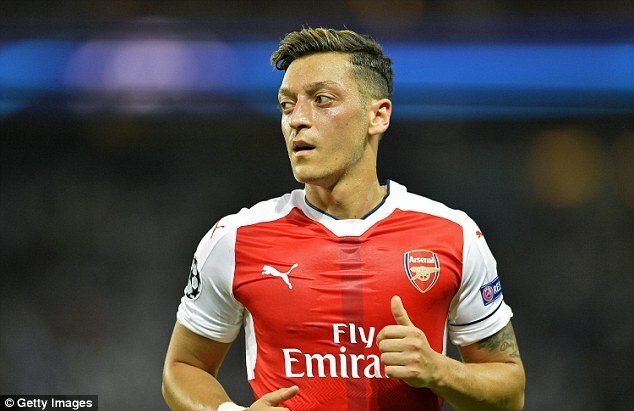 The German World Cup winner seemed to deal with the intense attention on his performances for the majority of his Arsenal career, but this season has seen a dip in his displays, and the concentration of eyes on Ozil has now become a maelstrom of ridicule, doubt and fierce judgment. Does Ozil warrant this? He is still Arsenal’s record purchase and has been touted as one of the worlds best playmakers. When he has been on song, he has exhibited the deftest of touches and vision only matched by the Hubble Telescope. His high’s are so lofty that any fall will contrast starkly. Ozil is also suffering from a loss of form. He isn’t merely on a plateau, he is well below what he is expected to do. This is undeniable, but does Ozil cop it a little worse than others? Kevin De Bruyne and David Silva have at times this season gone missing. Silva especially, for games at a time, can produce no end product in terms of goals and assists. Yet, do they dominate back pages? Do their sub-par performances earn hours of talk on radio and TV? Eden Hazard is a prime example. Last season he was a passenger for 35 games of Chelsea’s mediocre season – and the backlash from him giving Chelsea precious little bang for their buck pales into comparison when placed alongside the weekly reaction regarding our German enabler. The one decisive factor regarding Ozil’s dip, is the loss of Santi Cazorla. When the Spaniard was fit and in the team, Ozil was firing away goals and laying chances on a plate with high frequency. Since Cazorla has been injured however, Ozil has had to shift his role to get the amount of ball he needs. Mesut Ozil and his assets of mass destruction can nulify any team – just look at his performances against Bayern last season and Chelsea this season – but he needs Santi there to transition defence to attack. Ozil is the surgery knife, but Santi is the handle. Without him, Ozil is severely hampered. Ozil’s class is undeniable, but we should be able to criticise when he is off of his game. There is a line in the sand though, where constructive criticism becomes lambasting to keep in with the rest. It’s peer pressure amongst pundits. A retrospective look at what has been written and said by ‘experts’ would help, so they could see that it really has become a witch-hunt. Especially when you consider his positional brethren who escape the flak on a regular basis. Ozil deserves both sides of what the spotlight brings, but who could blame him if he departs? ‹ PreviousWho Picks Arsene’s Replacement? He’s a wonderful footballer and a joy to watch. But unfortunately these losses of form occur each season and the fans are frustrated especially with his failure to impose himself on matches when our opponents are phsical, which is pretty often, To win the big prizes we need consistency, and we have far too many inconsistent players at AFC. I have to agree. Time for him to step up.